Elevated between 4528 ft and 9262 ft, the Ski Resort is among the 3 highest elevated Ski Resorts in Piedmont. The vertical drop from summit to base is 4734 ft. The average difference in altitude between base and summit of Ski Resorts in Italy is 3087 ft. Most runs are therefore relatively long. Via Lattea is the the best rated ski resort in Piedmont. It is among the 10 most family-friendly ski Resorts in Italy. Season starts on Dec 1 and ends on Apr 27 (147 days). Average season duration in Italy is 130 days. Average snow depth during the season (Dec 1 to Apr 27) is 40 " at summit elevation and 17 " at base elevation. Snow coverage is usually best during March, offering an average snow depth of 42 " at summit elevation and 19 " at the base. Therefore Via Lattea is among the 3 ski Resorts with best snow conditions in Piedmont. Via Lattea features 84 sunny days on average per season. 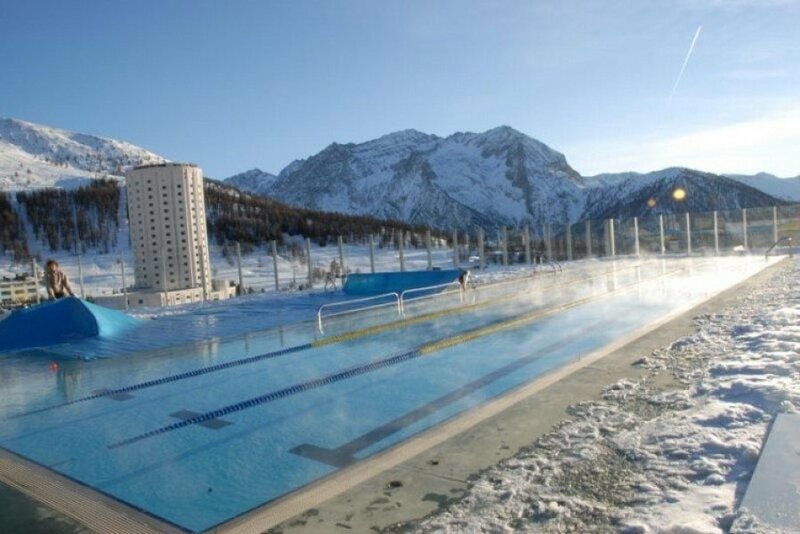 The average for all ski Resorts in Italy is 75 sunny days. December is the sunniest month with an average of 19 sunny days. This makes the ski resort one of the 5 sunniest in Piedmont. Offering 249 miles of slopes and terrain, Via Lattea is among the 3 largest Ski Resorts in Italy. Explore the tremendous ski world of Via Lattea. Via Lattea (english: Milky Way) is a compound of ski resorts in Piemont. Four ski resorts in Italy (Sestriere, Sauze d´Oulx, Sansicario and Claviere) and one ski resort in France (Montgenèvre) form this compound. Via Lattea offers 400 breathtaking kilometers of slopes. On this huge amount of slopes the younger and the elder, beginners and experts will get their money worth. There are ober 70 lift facilities to bring you up to the slopes, where the skiing emotion starts. Countless possibilities to find off-piste descents stir freeriders´ blood and two snow parks in the ski resorts compound attract snowboarders from all over Europe. You can easily check out the other ski resorts in the compound by taking the interconnection slopes. Some of them even take you across the border between France and Italy. This way, you can have a croissant for breakfast and enjoy the original Italian cuisine for dinner. 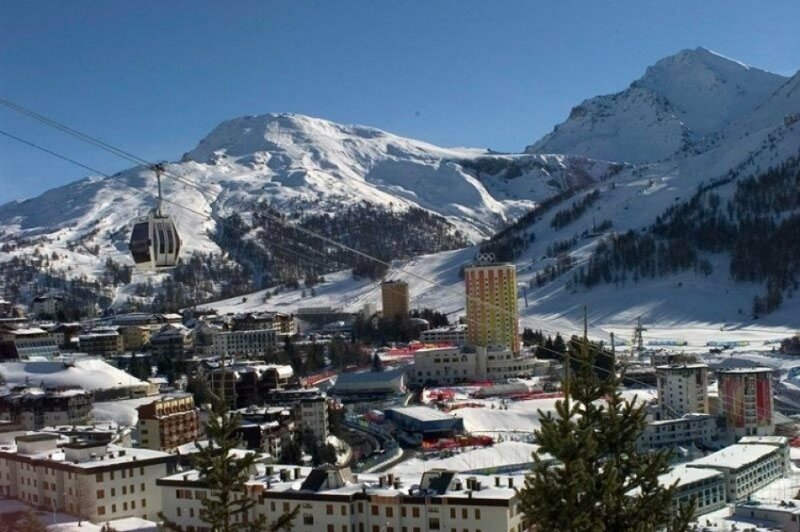 There is no doubt Sestriere is one of the most terrific ski resorts in the Alps, maybe even in the world. Its touristic past began in the 1930s. Having such a long and proud tradition in winter tourism, the ski resort came to be one of the most modern tourist centers for skiing. Those who choose Sestriere as their destination better bring some time with them: Situated in the center of Vialattea, there are more than 400 kilometers of slopes! The finest groomed slopes of all kinds of difficulties are well-provided with the latest snow cannons. Thus, there are no limits to skiing fun. Cross-country skiing aficionados can enjoy numerous cross-country ski trails in the region. Besides the stunning skiing offerings there are many other activities like ice-skating. Situated at the altitude of 1509 meters above sea level, Sauze d´Oulx is the second biggest ski resort at the ski resorts compound Vialattea (english: Milkyway). The wide open slopes offer the opportunity to enjoy an incomparable panoramic view while skiing, while the narrower slopes go through small forests and make high demands to the skiers´ abilities. Sauze d´Oulx is the perfect ski resort if you enjoy relaxed and gentle slopes. Experts, too, have more than enough opportunities to show their skills and to polish their techniques. Those who like extreme skiing can book helicopters for heliskiing to enjoy untouched snow off-piste. 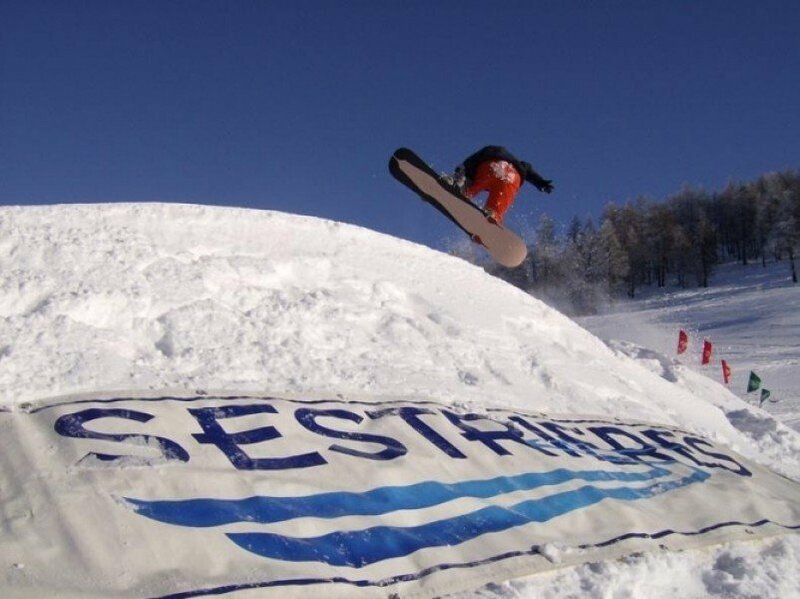 There is also a snow park for snowboarders and freestyle skiers, where they can try some new moves. Sauze d´Oulx is part of the gigantic ski resorts compound Vialattea, that offers ski vacationers more than 400 kilometers of slopes. Cesana Torinese (1354m) is situated at the bottom of Chaberton Mountain. It is connected with the great skiing system of the Via Lattea by a chairlift which reaches the pistes of the Monti della Luna and is linked with the lifts of Claviere and Montgenevre, and by a cable on the opposite side which is linked with Sansicario, Sestriere and Sauze d´Oulx. 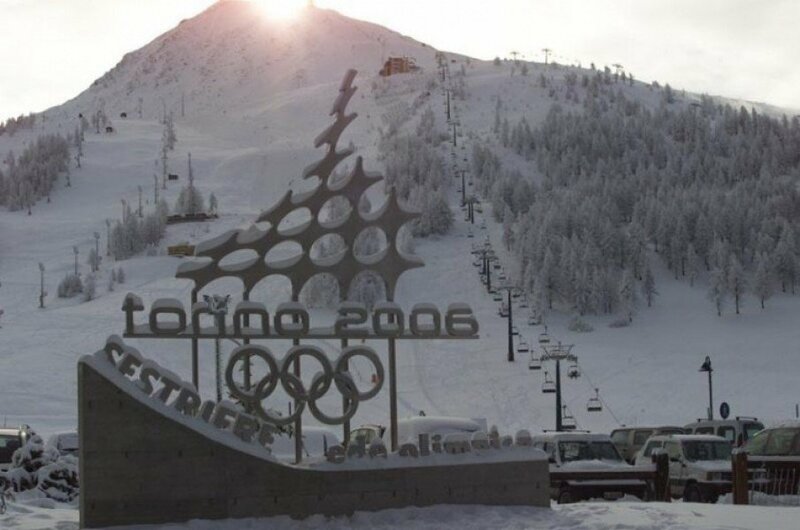 Cesana had a main role in the exciting sport event of the Torino 2006 Olympic Winter Games, being one of the resorts where they were held. Claviere is a small village on the Franco-Italian border. Only two kilometres distance from Montgenèvre, the first inhabited town in France. From a tourist point of view, Claviere is reknowned for it´s skiing from the beginning of the century, and has an excellent record for snow throughout the season. Reporters say Claviere has a pleasant, relaxed atmosphere: it is tightly enclosed by wooded slopes and everybody can find slops for every level and taste, whith guaranteed snow, even in the scarce periods thanks to the atificial snow making machines. For a break in the day´s skiing, people can choose among 5 mountain restaurants. People in the village and ski instructors at the ski-school do speak english. There is also a cross-country trail passing through a beautiful landscape for about 16 km to Montgenèvre and back, and an open air skating rink in a very pleasant setting, open during the day or with floodlit skating in the evening. Moreover, there are 10 hotels, 9 restaurants, 1 pub, 2 pizzerias, 3 snack-bars, 15 bars and shops where people can find wathever they need. Montgenèvre, the oldest of the French ski resorts is situated at 1860m altitude, on the Italian border,and enjoys an ideal geographical position. The municipality consists of two villages: Montgenèvre and Les Alberts (a village at the entrance of the Clarée Valley). Montgenèvre has many assets. 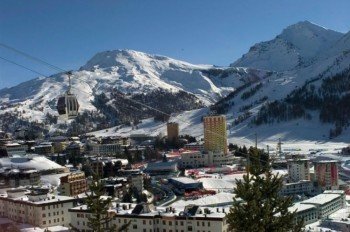 Montgenèvre is the most accessible resort in the Alps! A charming village in the southern alps (Provence Cotes d’Azur region), Montgenèvre is 15 km from the Italian TGV station of Oulx, making Paris only 5 hours from Montgenèvre (4.5 of TGV + a 30mins shuttle). The Montgenèvre mountain pass is accessible both from the North and from the South (Chambéry / Modane motorway, and Fréjus tunnel). The proximity of the Olympic airport of Turin adds to Montgenevre’s accessibility. Primarily made up of ancient town houses and new wooden chalets, Montgenevre offers a stunning view from the top of the slopes. Proud of its 300 days of sun per year and of its exceptional snow coverage, the village of Montgenèvre knows how to preserve its traditional values whilst also developing infrastructure. 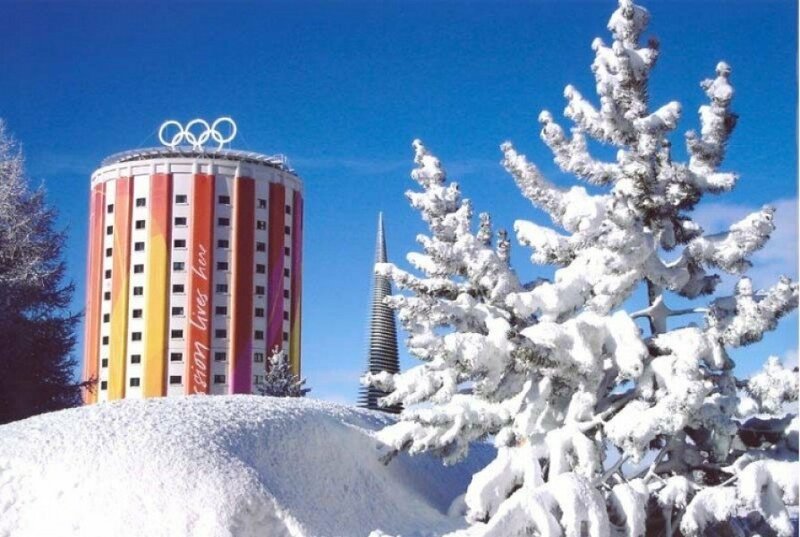 In fact, Montgenevre is the only French resort connected to the 2006 olympic and paralympic ski areas of Turin (Sestrières, Sauze d´ Oulx and Sansicario). The resort’s development has been gradual. The tunnel, the rennovation of the pedestrian areas, and the creation of a new snow front have enhanced both sides of the ski area: le Chalvet and les Gondrans. Furthermore, Montgenèvre is continuing to prepare for the future. This year it is adding three new runs to the Chalvet ski area. Runs are meticulously groomed each night, and from the summit at 2,700m breathtaking panoramas unfold one after the other, awaiting discovery. Outside the tourist seasons of winter and summer, active associations, schools, businesses, and residents keep Montgenèvre alive.The village is not just a ski resort!